Arnautovic's acrobatic goal ultimately proved the difference, as the Austrian forward scored with an excellent finish after 53 minutes. 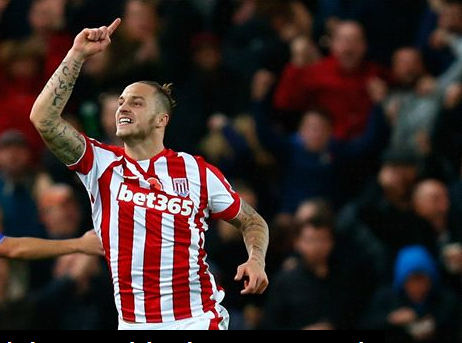 Marko Arnautovic’s second half goal, after a great buildup from Stoke, sees the Potters stun Jose Mourinho’s Chelsea.Chelsea travelled to Stoke City on Saturday without banned manager Jose Mourinho, who hoped his absence will not prevent the players from picking up a much-needed victory. "I think they will know I am with them," he said, when asked how his squad might cope. "They know I am going to prepare the team until the moment they go to the game.They know that during the game, the action of the manager is not so crucial and I think the fact they know why I am not on the bench is also important for the group." But things dint go well as the banned manager would have wanted to. Chelsea fell to another league defeat, with Stoke defeating Chelsea by a scoreline of 1-0. Arnautovic's goal snatches three point for the Potters, with plenty more pressure piling onto the Blues. The last time Chelsea lost so many games so early in the campaign, 1978-79, they ended up being relegated - and although they will surely not suffer that same fate this term, they are now 16th in the table, just three points clear of the bottom three.